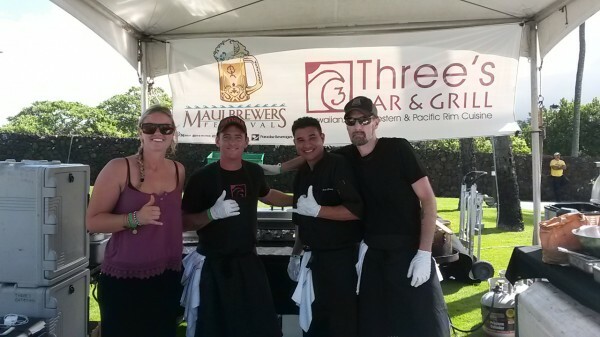 I’ve always wanted to attend the Maui Brewers Festival and this happened to be my lucky year. 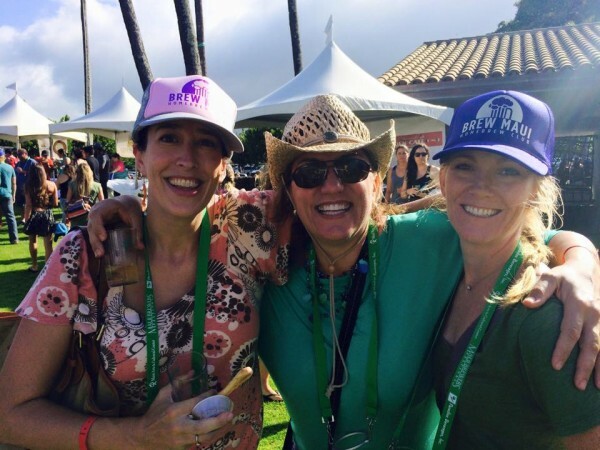 Touted as “Maui’s Favorite Festival,” this event focuses on sampling craft beers from Hawaii and the Mainland all while enjoying live music and island-style food. The 7th annual event held on Saturday May 16, 2015 had 37 breweries and 24 restaurants and caterers participating. Held at the Maui Arts and Cultural Center, the 21 and over festivities are a fundraiser for the MACC and its arts and community programs. Fortunately, we were given some insider tips from some experienced friends, and home craft brewer Tom Hammerton. 1. Splurge for the VIP tickets – and soon – as they sell out quickly. At $110 per person and held in the Yokouchi Pavilion, we were treated to Happy Hour that started at 2:30 pm instead of the General Admission time of 4:00 pm, which is held in the A&B Amphitheater. Included in the VIP package is a sampling of rare brews, first crack at the food, ten 4 oz craft beer samples, a Brewfest t-shirt (courtesy of Crazy Shirts) and a souvenir lanyard/cup-holder for hands-free eating. General Admission tickets are $60 and rise to $70 the day of the event, and include eight 4 oz craft beer samples. Both VIP and GA tickets include a commemorative glass and all inclusive unlimited food. 2. Eat as much food as you can during Happy Hour to avoid long lines and food shortages after 4:00 pm. My sweet treat of choice was provided by Shaka Pops. They actually made beer-sicles! Both were made with Maui Brewing Co. beer, which happened to be a sponsor of the event. The Bikini Blonde Mojito Pop was fresh, light, and a great pallet cleanser. The Coconut Porter Float was rich and an adult version of a light fudge pop, wow! My favorite savory dish was provided by Three’s Bar & Grill. 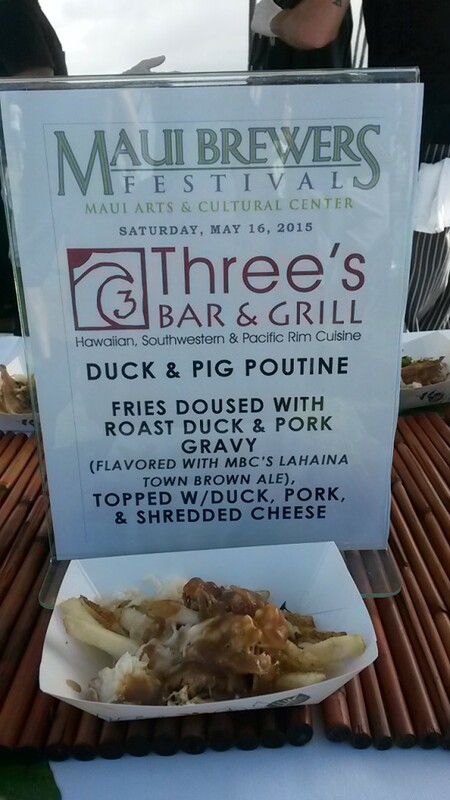 Duck and pork poutine smothered in pork gravy flavored with Maui Brewing Co.’s Lahaina Town Brown Ale. For those of you that don’t know, poutine is a French-Canadian dish with French fries, white cheese curds, and brown gravy. Absolutely heavenly and the perfect food to go with beer. 3. Taste the rare beers while available and focus on the beers you are most interested in. Our group split up and we all compared each other’s beer so we knew where to spend most of our time. Our favorite beers included the Chocolate Oak Aged Yeti Stout from the Great Divide Brewing Co. and the Old Chub Scotch Ale from Oskar Blues Brewery. 4. Last but not least, do not forget a hat and sunscreen. I forgot a hat but was able to purchase one from Brew Maui Homebrew Club. They also held a competition for home brewers with results posted at the event. We’re very proud to say our friend, Tom Hammerton, took second for one of his delicious porters. Many people arrived in costumes, lederhosen and Egyptian themes were popular this year. The accessory of choice was dried pretzels strung on string and worn as necklaces. I later learned this was a pallet cleanser to nibble on between beer samples. Low back chairs and blankets are permitted, but no one ever sat in them as it was too much fun to mingle and check out the sights. 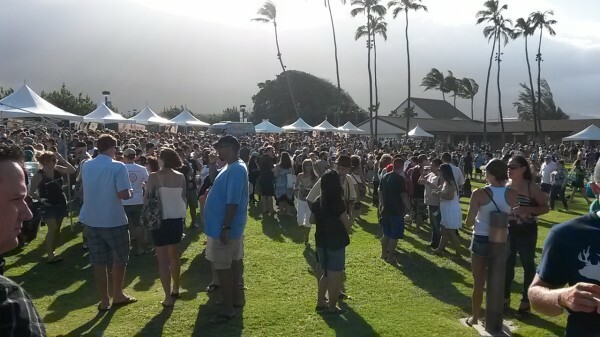 Free parking was available on the grassy lot by the recycling center and Uber-Maui was offering $20 off rides with the promo code MAUIBREWERS. We were fortunate enough to have a dear friend and neighbor provide drop off and pick up service. Thanks, Lani! All in all, it was a great event and I can’t wait for next year! Thank you to the MACC, Maui Brewing Co., Paradise Beverages, and Crazy Shirts for sponsoring this great event. Harry "Dev" Devery is a REALTOR(B), CRS with Hawai'i Life. You can email me at	DevDevery@HawaiiLife.com	or via phone at (808) 870-0966.